Upon un-boxing, the first thing I noticed about the Aspire was the carbon-fiber coated variable voltage battery – which is truly unique amongst e-juice pens that are typically fixed voltage and have the same boring, matte black finish. This unit feels very solid and substantial in your hand and it’s easy to tell it’s a quality, well made product. Furthermore, the Aspire comes standard with the Nautilus Mini Tank, which features a four-port adjustable airflow system, which allows for ultimate vapor control. 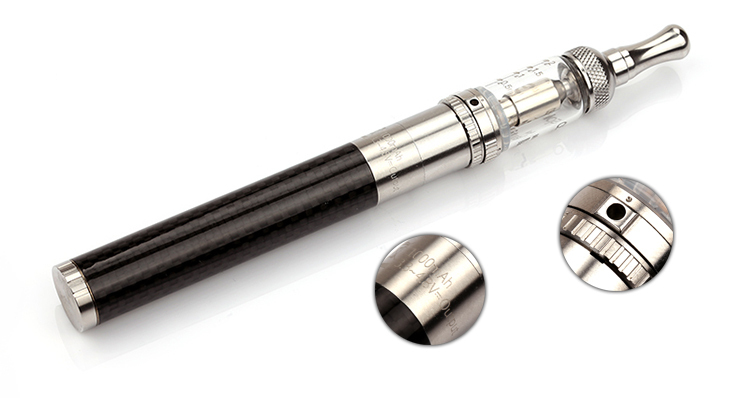 It’s rare for an e-juice pen to come with such an advanced tank. Most pens in that price-range are very run-of-the-mill and nothing to write home about. The Aspire really looks and acts more like a ‘mod’ than a classic e-juice pen. Newbies may not appreciate the advanced features and intricacies of this unit; however, those with more vaping experience will be sure to hold the Aspire in high regard. 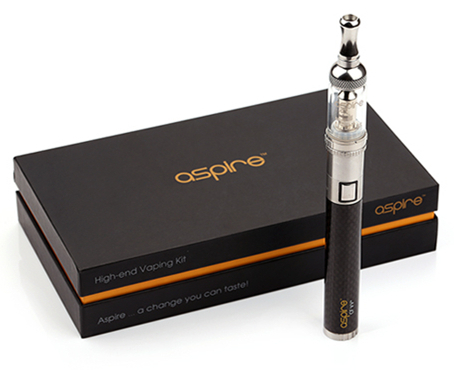 The Aspire Premium utilizes a CF Variable Voltage Battery, one of the more high-end power systems on the market. 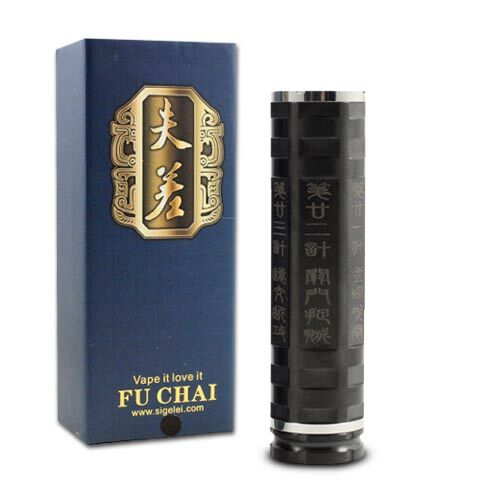 The CF VV allows for seamless voltage control, ranging from 3.3V – 4.8V, optimizing your vaping experience. As someone who has been using e-juice pens since the time of their inception, I’ve had to deal with many underwhelming and poorly constructed batteries in the past, as the technology hadn’t quite caught up with the trend. 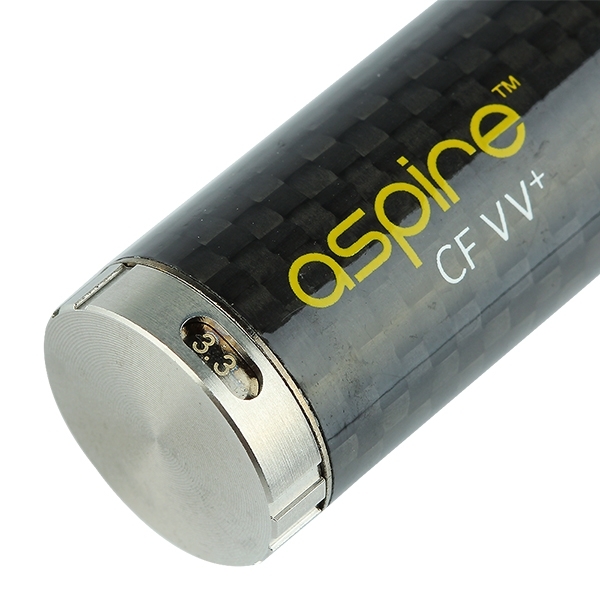 Unlike so many of its predecessors, the Aspire CF Variable Voltage is comprised of high quality components, including stainless steel endpoints and a unique spring connector which secures a strong connection between the battery and the included Nautilus Mini Tank. The structural design and control circuit of the CF VV makes it super reliable and extremely stable. 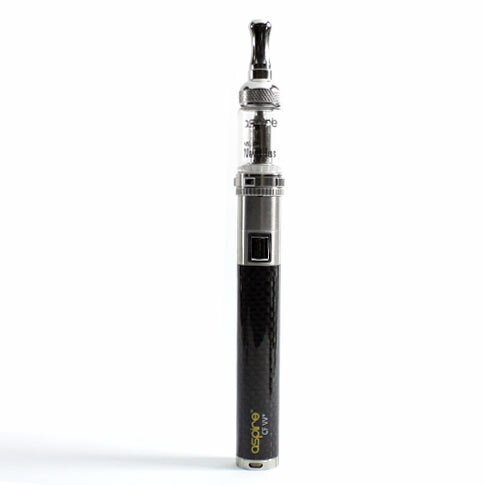 Aside from the advanced Variable Voltage Battery, the Aspire Premium also features the state-of-the-art Nautilus Mini (BVC) Tank Clearomizer. 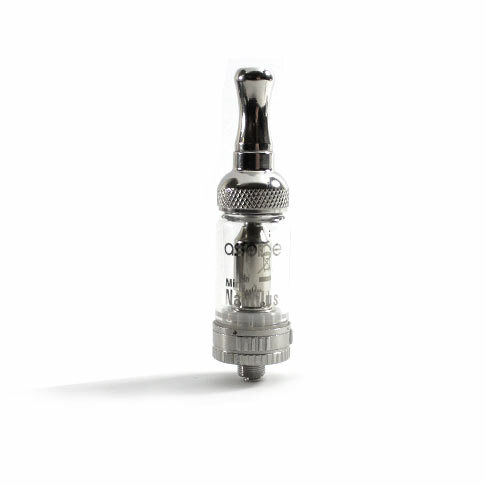 Utilizing BVC (Bottom Vertical Coil) atomizer technology and a fully adjustable valve ring to customize and improve airflow, the Nautilus Mini gives you the ‘mod’ feel without all annoying upkeep of having to wrap your own coils and wicks. While IMO, there are better tanks on the market (I recently purchased the Aspire Atlantis and am in LOVE with it), the fact that the Aspire Premium comes standard with the Nautilus Mini is a big selling point. With BVC technology, which is simply not found in the atomizers of standard pens, you’ll find your e-juice tastes better and the clouds being produced will be much larger and robust. Being only slightly more expensive than 80% of vape pens on the market, it surprises me that anyone would pay the same, slightly less, or even MORE for units that simply don’t match up to the Aspire Premium. The versatility and cutting-edge technology offered really make this unit stand-out and shine amongst its competitors. Competing directly with the Aspire in what I’ve dubbed to be the “beginner mod” category, the Vaporite Volt retails for nearly $70 more and doesn’t offer variable voltage control or a high-quality tank. The Volt also just doesn’t feel as quality as the Aspire Premium. The VaporX XLT is another e-juice pen that some might consider a rival to the Aspire, however, without the advanced components or features to back up its bloated price tag, the Premium is sure to win a side by side comparison every time. As I was expecting big things from the Aspire Premium due to my past experiences with other products from the manufacturer, I was truly not disappointed by the performance of this unit. The functionality of the Premium is unmatched by any other vaporizer it the same price range ($80-$120). I really don’t have a lot of negative things to say about this unit. For those looking to step-up to a high quality unit with better overall vapor production and performance, but don’t quite want to get into the sometimes intimidating world of mods, there’s really no better choice than the Aspire Premium. 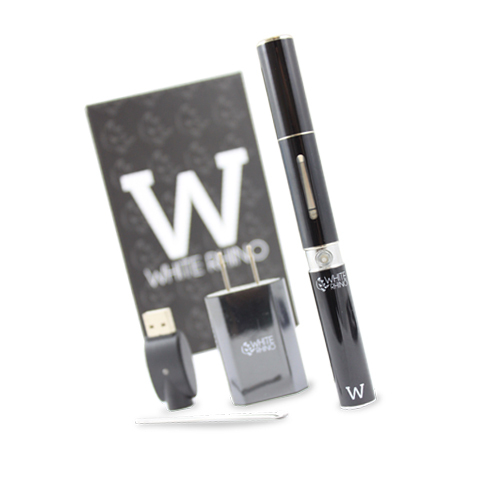 Founded in 2013, Aspire has quickly made its way to the top of the vaping world. They’ve done this through superb quality, cutting-edge technology and reliable products. The company is known to continuously seek better ways to manufacture its products as well as quality control. Aspire is one of the more reputable companies in the vaping community. Their product line includes mods, coils, tanks, chargers and other accessories. For those looking to step-up to a high quality unit with better overall vapor production and performance, but don’t quite want to get into the sometimes intimidating world of mods, there’s really no better choice than the Aspire Premium.